The Cerrado may be Brazil's best kept secret. Over 10,000 plant, mammal and bird species, including maned wolf, jaguar, and hyacinth macaw, make it the planet's most biodiverse savanna - and disappearing faster than the Amazon Rainforest. The Wolf Camps in Parnaiba Headwaters National Park are the epitome of what Responsible Tourism can do for wildlife and human wellbeing. MANED WOLF: SHY, FRUIT LOVING, "FOX-ON-STILTS". PHOTO THANKS TO DR. CHARLES A. MUNN III & SOUTHWILD WOLF CAMPS. Flying rainbows: Flocks of macaws dressed in brilliant red, green, gold, and blue; the azure crown on an emerald parakeet; the banana-colored bill of a toco toucan. Smart monkeys: The famous stone tool using “Einstein Monkeys” live here. Foxy wolves: Delicate red-colored wolves so tall they are nicknamed fox-on-stilts. The best conservation news of all: The passionate wildlife protectors and managers of the park’s two lodge/camps are – reformed traffickers. Parnaiba Headwaters National Park is a long way from the ordinary. In fact, from the airport in Brasilia it is a 90-minute flight to the city of Barriera, followed by another 3.5 to 4-hour drive deep into Brazil’s interior. Most of that ride is on “paved” roads; it is only the final half hour that the road turns to sand. You are headed for the state of Piaui, or “Piauhy” as the original Portuguese settlers called it. In 1760, more than 250 years after the first Portuguese settlements, that name was placed on an official government map. Was it just a name, or the description – or both? The word Piaui means “Beyond Nowhere”. You are now in the Cerrado. PARNAIBA HEADWATERS NATIONAL PARK IS HOME TO "EINSTEIN MONKEYS" THE FAMOUS TOOL USING CAPUCHINS. PHOTO: THANKS TO DR. CHARLES A. MUNN III AND SOUTHWILD WOLF CAMPS. When we think of wildlife in Brazil, it is usually in the context of the Amazon rainforest or perhaps the Pantanal. But the biggest eco-region in South America and one of the most biologically diverse savannas on the planet is Brazil’s Cerrado. According to the Nature Conservancy this wonder-filled place is home to almost 300 different mammal species including 60 vulnerable, 20 endangered, and 12 critically endangered animals, among them the maned wolf and jaguar. A plethora of different lizards and amphibians are also part of its bio-diversity, and 900 different bird species create a veritable feathered rainbow among the trees. CAUTIOUS MANED WOLVES LOVE THE CERRADO'S GRASSLANDS BUT MAY STAY CLOSE TO THE TREE LINE DUCKING INTO IT FOR FAST COVER. PHOTO: DR. CHARLES A. MUNN III & SOUTHWILD WOLF CAMPS. The little known Cerrado is huge, spanning four states and bordered by Amazon rainforest, Atlantic forests, and the Pantanal. It equals the size of England, France, Germany, and Spain combined (770,000 sq. miles / 2 million sq. km). But back when those early Portuguese settlers thought of it as nowhere, it was even larger. At present only 3% of its total area is protected. It is under heavy pressure from unsustainable soy farming, mostly for animal feed, ranching, and the reckless burning of vegetation to create charcoal. With a rate of destruction equal to 2.5 soccer fields per minute, the Cerrado has the distinction of disappearing faster than the Amazon. Its demise is altering rainfall patterns, impacting on global climate change, and imperiling the 10,000 plant and animal species that call it home, half of which are found nowhere else on the planet. In 2002 the Brazilian government designated a section of the Cerrado at the headwaters of the Parnaiba, its most important river, to protect it from the threats of deforestation, unchecked mining, farming, and ranching. Parnaiba Headwaters National Park is 1.8 million acres (404,700 hectares) of red mountains, grass savanna, forest, and of course, the river teaming with wildlife. And it is well under the radar of all but the savviest of wildlife travelers. Sometimes beyond nowhere is exactly the right place to be. 195 mammal species, including: maned wolf, giant anteaters, giant or canastra armadillos, bearded capuchin monkeys (dubbed "Einstein monkeys", the first documented non-ape primate tool users), howler monkeys, tufted marmosets, Brazilian guinea pigs, and the cats: jaguar, ocelot, and jaguarundi. 200 amphibian species including rare and endangered tree frogs. HYACINTH MACAWS CRACK NUTS WITH A MIGHTY CRASH! PHOTO: DR. CHARLES A MUNN III & SOUTHWILD WOLF CAMPS. There are 600 bird species in PArnaiba Headwaters National Park. Macaws: the hyacinth (see below: "Accommodations" for more on hyacinth macaws), red and green, blue and gold, and the critically endangered Spix's macaw. Burrowing owls, jenday conure, and blue crowned parakeets, swallow-tailed hummingbirds, and 20 very rare endemic species such as blue-eyed ground doves and Brasilia tapaculo. 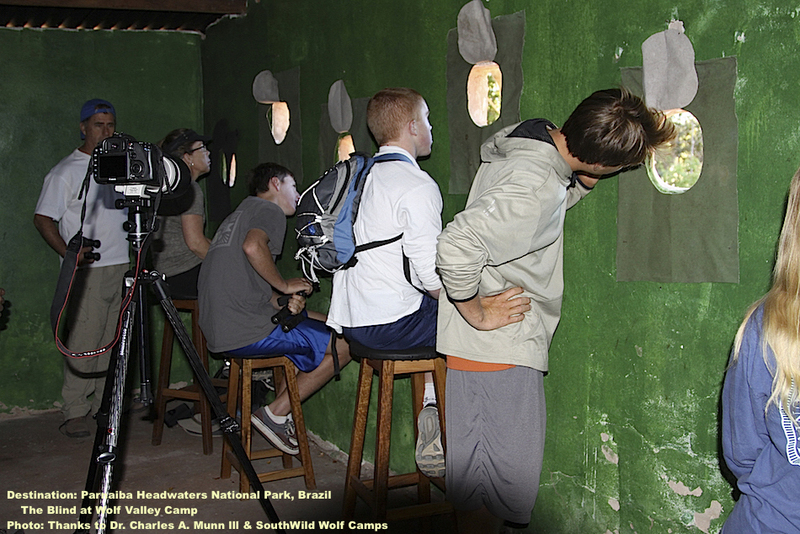 MANED WOLVES COME RIGHT INTO THE WOLF CLIFFS CAMP AT PARNAIBA HEADWATERS NATIONAL PARK, BRAZIL. PHOTO: DR. CHARLES A MUNN & SOUTHWILD WOLF CAMPS. As much as we would like to believe otherwise, many wildlife and habitat preservation questions fall into grey areas. The Parnaiba Headwaters National Park is huge, but the means to explore it (roads, lodges etc.) are extremely limited. Wolf Camps are the only two camp/lodges inside the national park. Created for eco-tourism well before the park was born; in most respects the Wolf Camps could be poster-children for responsible tourism, with one exception: At the Wolf Camps you will see wildlife, particularly maned wolves, being fed. 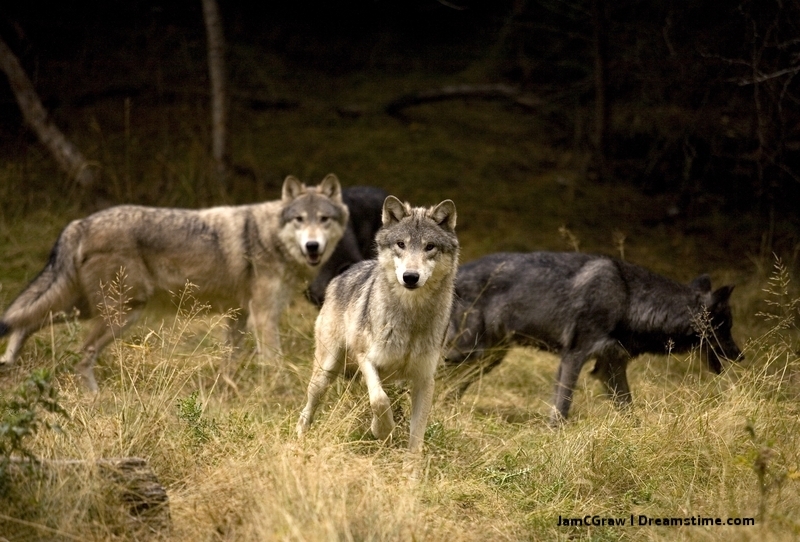 And yes, make no mistake, we are encouraging you to go there, stay at Wolf Camps, and experience the wolves. Have we changed (or lost) our minds? No. The economic benefit visitors bring to this unique and highly threatened place is imperative for its survival. Eco-tourism is beginning to provide an alternative to wildlife trafficking and natural resource exploitation, which, just a short time ago were the only means of economic survival. It is true that these shy, non-aggressive, mostly fruit eating, maned wolves are becoming habituated to humans. When wildlife becomes habituated, keeping it safe becomes more difficult. However, the park is huge and in many sections impassable by vehicle. For now the fruit left out for the wild maned wolves provides an opportunity to view them and gives wildlife tourists another reason to visit the Parnaiba River headwaters. So read below to understand why we love Wolf Camps – and spread the word. Remember: Do not feed the wildlife (even if food is left out by the guides). Never encourage the wild animals to come closer. Follow the directions of your guides and hosts. Wildlife is wild – keep it that way for the safety and well-being of all. Do bring only biodegradable soaps and shampoos. Leave as little non-biodegradable rubbish in the camps as possible; carry everything out unless instructed otherwise. Take only photos, leave only footprints. 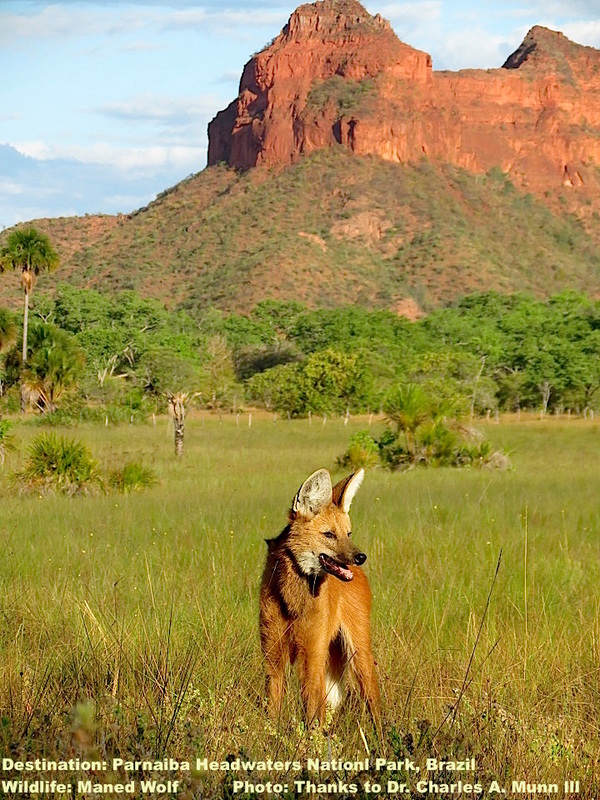 WITHOUT THE CERRADO'S MIX OF WET GRASSLANDS AND FOREST, MANED WOLF AND MANY OTHER SPECIES MAY NOT SURVIVE. PHOTO: DR. CHARLES A. MUNN III AND SOUTHWILD WOLF CAMPS. The Cerrado is typically hot and semi-humid with rainy summers and dry winters. April through August is the best time for wildlife viewing. Climate: The Cerrado has a semi-humid tropical climate with two seasons: wet and dry. Wet season: October through March. Dry season: April through September. 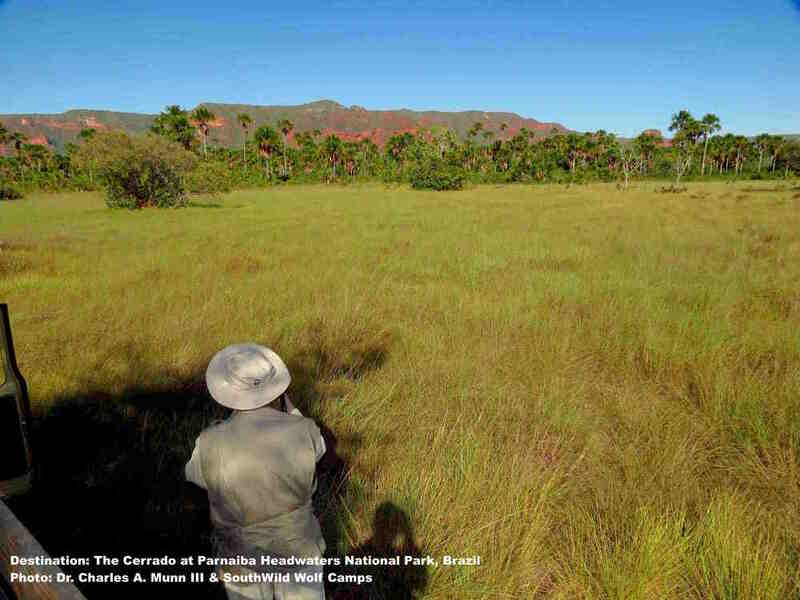 The park has two operational eco-camp/lodges established under the auspices of conservation biologist Dr. Charles Munn lll, in the middle 1990’s and early 2000’s, years prior to the official protection of this part of the Cerrado. Together the camp/lodges are called: The SouthWild Wolf Camps. Dr. Munn first came to this remote area in 1987 in order to locate and document the dwindling hyacinth macaw population. He found the macaws – and a thriving illegal wildlife trafficking industry. COMFORTABLE, WELCOMING, AND RUN BY LOCAL PEOPLE, THE WOLF CAMPS PROVE THE POWER OF RESPONSIBLE TOURISM TO CHANGE HUMAN LIVES, CONSERVE WILDLIFE, SAFEGUARD HABITAT, AND PRESERVE THE PLANET FOR FUTURE GENERATIONS. PHOTO: THANKS TO DR. CHARLES A. MUNN AND SOUTHWILD WOLF CAMPS. Wolf Valley Camp: At the very edge of PHNP, outside the village of Sao Goncolo, Wolf Valley Camp is your gateway to natural wonder. His guests have described Lourival Lima, who manages the lodge, as an “animal whisperer”. And indeed visitors are often amazed at how well he understands animals and birds, and how quickly he can locate them. Lourival has had a lifetime of practice. Lourival Lima, protector of endangered hyacinth macaws and maned wolves, was once one of the most infamous illegal wildlife traders in Brazil. In those days, hyacinth macaws were worth more per ounce than cocaine. Enter Dr. Munn. It took some convincing but Dr. Munn persuaded Lima that he could make more money protecting the birds, than hunting them. In the mid 1990’s, a full 12 years prior to formation of the Parnaiba Headwaters National Park, Lourival, with encouragement, help, and funding from Dr. Munn, abandoned wildlife trafficking and entered the world of eco-tourism. Wolf Valley Camp was created on his 2,500-acre (1,011 hectare) property. Wolf Valley is famous for hyacinth macaws. Watch from behind the special blind as these huge (3.3 ft. / 1m) brilliantly colored birds gather there for the palm nuts they crack open with a thundering smash. Wolf Cliff Camp: Soon after Wolf Valley, opened Lourival himself took up the reins as chief persuader, convincing his good friend and former wildlife hunting colleague, Mauro Oliveira, to join him in this new life. Mauro Oliveira now runs Wolf Cliff Camp. Located deeper inside what is now the park, it sits on 10,000 acres (4,046 hectares) of private property bought by the non-profit wildlife conservation group, BioBrasil Foundation with funds raised by Dr. Munn. YOUR MORNING VIEW FROM THE WINDOW AT WOLF CAMPS, PARNAIBA HEADWATERS NATIONAL PARK. PHOTO: DR. CHARLES A. MUNN III AND SOUTHWILD WOLF CAMPS. At Wolf Cliff Camp you will see the tall, elegant looking maned wolves, nicknamed “fox-on-stilts” for their red color and long, black “stocking-ed” legs. From Wolf Cliffs your guide can take you further into the park to witness what scientists have dubbed “Einstein monkeys” at work. These bearded capuchin monkeys are the only non-ape primates to skillfully use tools. They carefully examine a nut, find the most stable side to balance it, then use stones as tools, some as big as their own heads, to open them. It is quite amazing. The Facilities: Both lodges are simple, efficient, and sustainably run. Both have private bathrooms and somewhat rudimentary but very serviceable, showers. Neither have air-conditioning nor a pool, but you will not miss them. WATCHING HYACINTH MACAWS FROM THE BLIND AT WOLF VALLEY CAMP. PHOTO: DR. CHARLES A MUNN III AND SOUTHWILD WOLF CAMPS. Visitor reviews have noted the surprisingly delicious meals at both both camp/lodges - and wonderful wildlife experiences lead by passionate guides. Wolf Valley Camp has a generator for electricity (at strategic times) so you are able to charge your equipment. Wolf Cliffs does not have electricity. Give yourself time at each of the camps – a day or two at least. This is not a do-it-yourself tour. You will want a guide – there is so much wildlife to experience, you will not want to miss any of it. Portuguese is the official language with 99% of the population speaking it. English has moved ahead of French as the most popular second language. Spanish is also spoken but not as frequently as the other three languages. Visas are required for US citizens. They cannot be obtained at the airport. All visa applications for Brazil must be submitted in person to the nearest Brazilian consulate. Check with your local Brazilian consulate for the latest information. BE WISE! ALWYS DO YOUR VISA, VACCINATION, AND BEST PRACTICES RESEARCH PRIOR TO FINALIZING TRAVEL PLANS. BURROWING OWLS AT PARNAIBA HEADWATERS NATIONAL PARK. PHOTO: DR. CHARLES A. MUNN III AND SOUTHWILD WOLF CAMPS. The Brazilian government does not mandate vaccines to visit Brazil. Hepatitis B: Under certain conditions. Consult your health care provider. Yellow Fever: Vaccine recommended if traveling in very rural places. Piaui is rural. Zika: There is zika in Brazil. The web site of the Brazilian Consulate General states that they “follow all recommendations for controlling and preventing the virus.” However, consult your health care provider prior to travel to Brazil, especially if you or your partner is pregnant or considering becoming pregnant. Malaria: There is malaria in Brazil. Speak to your physician for the best course of action for you. Bring mosquito repellent and use it consistently. Also consider adding mosquito and sun protective clothing to your travel requisites. These are available through travel and sporting goods providers. Please note: Combination sunscreen and mosquito repellent in one product is not recommended by the CDC. Apply sunscreen liberally first, allow the sunscreen to dry, then apply mosquito repellent. Remember to refresh as often as necessary following the manufacturer’s recommendations. Use the same application procedure each time. THE MOON DUCKS BEHIND THE MOUNTAIN AT THE DAWN OF ANOTHER DAY. RESPONSIBLE TOURISM CAN HELP ENSURE THAT ON THIS DAY THE HUMAN IMPACT ON THE CERRADO IS SUSTAINABLE. THE VIEW FROM WOLF CLIFFS CAMP, PARNAIBA HEADWATERS NATIONAL PARK, BRAZIL. PHOTO: DR CHARLES A. MUNN AND SOUTHWILD WOLF CAMPS. Enjoy your Parnaiba Headwaters National Park adventures. We'd love to hear about them and so would other travelers. Send us your stories and photos and we will publish them as possible.